The Fifteen Mile Creek boat ramp is located 5 miles off U.S. 40 at the end of Little Orleans Road. There are 14 parking spaces and portable restrooms. 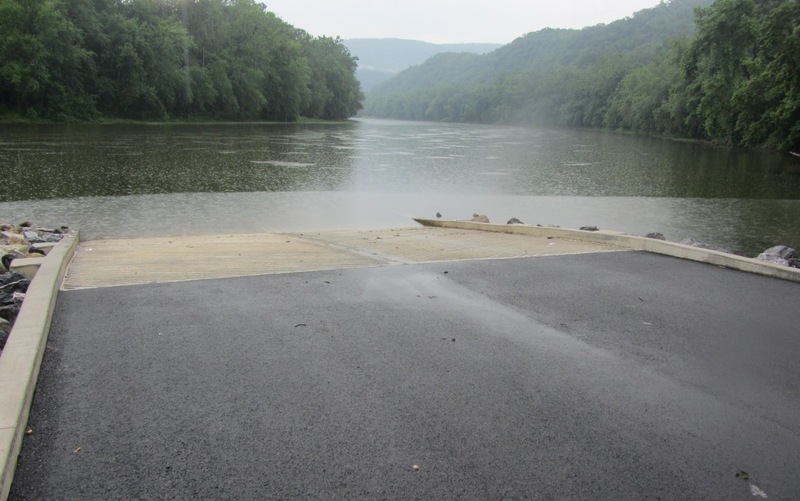 In 2013, the Maryland Department of Natural Resources completed a major renovation of the boat ramp, including a two-lane concrete ramp, improved access roads, and handicapped-accessible restrooms. The project is the third recent collaboration between the Maryland Department of Natural Resources, National Park Service, and U.S. Fish and Wildlife Service. The Brunswick boating access facility was completed in 2010 and the Point of Rocks boating access facility, in 2011. All three are located along the C&O Canal within the national park.